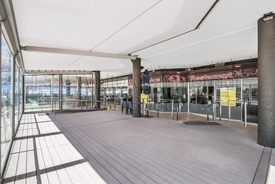 28 Commercial Real Estate & Properties in Coolangatta are listed in 3 categories. We have 20 Retail ShopsLease , 7 OfficesLease and 1 Other Commercial PropertiesLease . This main street corner retail shop is well positioned to capture all the passing trade in what is a high pedestrian traffic flow location. 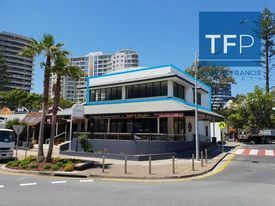 This shop is located opposite one of the main crossing in busy thoroughfare of Griffith Street, only 100 meters from world famous Coolangatta Beach. 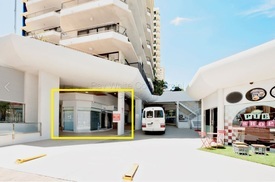 FEATURES: 50sqm Net lettable area Large window facade perfect retailing. Alfresco display area available. Excellent signage options. Airconditioned. Attractive surrounding tenancy mix of retailers, medical and professional office users. Positioned on the ground floor of 'Beachcomber International Resort'. Internal Kitchenette. Suitable for a multitude of uses, including food, retail and office. 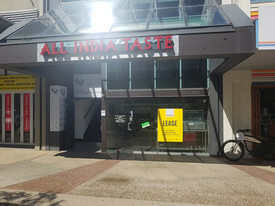 PRICE: For lease $3000 per month including outgoings. (Including outs and GST) For sale $420,000 (GST exempt). For more information and or to arrange inspection contact exclusive agents. On offer this 2746sqm vacant lot of land in Coolangatta for lease. We are seeking interest from all types of potential lessee's. Could suit; Markets / Night Markets Rental / sales yard Storage Parking. Vacant land sites like this in Coolangatta are extremely rare. Owner is seeking offers to lease entire site. For more information contact exclusive leasing agents. This beachfront food retail shop is ready for lease now and comes fully fitted with all equipment ready to go. 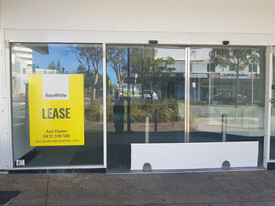 FEATURES: 55sqm internal shop space plus 64sqm alfresco area. Fully fitted ready to trade. Grease Trap. 1 exhaust canopy plus 1 heat extraction canopy. 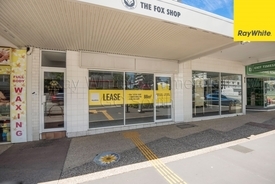 Attractive shopfront in prominent beachfront retail dining precinct. Excellent signage options. Located in Reflections Tower 2 building which is host to over 250 residential units with a mix of holiday and permanent residences. PRICE: Attractive rental rates and incentives on offer. For more information contact exclusive lease agents Towers Francis Property. The lessor is seeking a quality restaurant operator to take over this prime position beach front restaurant. Very attractive rental rates and incentives for high quality tenants. This space comes completely fitted ready for a restaurant operator to re brand and get trading before the busy Christmas trade season. Located next to well known successful restaurant 'Georges Paragon'. FEATURES: 87sqm NLA Exclusive use alfresco 52sqm newly refurbished. Perfect restaurant site. Existing fit out in place for next tenant. Grease trap. Prime beachfront position. Excellent exposure. Attractive surrounding tenancy mix. PRICE: $6500 PCM + GST Call exclusive leasing agents for more information. This high exposed prime corner shop will not last long. Previously a high end hair studio, this shop could be configured to suit professional retail office, food retailer or general retail. 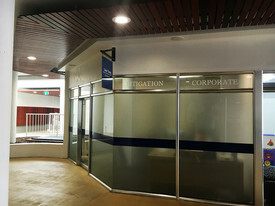 FEATURES: 116sqm internal NLA Existing fit out can be utilised by incoming tenant. 45sqm alfresco area licensed to these shops. Bathroom and toilet amenities. 3 basement car parking spaces. Prime corner shop with high exposure. Long lease terms available. Excellent surrounding tenancy mix. PRICE: $4166.66 PCM + Outs + GST Contact Towers Francis Property for more information. Prime Griffith Street location 88m2 at street level with great natural light New paint and kitchen Includes 1 car space Available now Asking $4,200 PCM + GST + Outgoings Please contact listing agent for more information. approx. Beachfront Retail Shops - Multiple Options 72sqm - 223sqm LEASING RATES AVAILABLE O..
Prime Corner Positioned Restaurant $5500PCM + GST (includes .. This large format office would suit corporate and government firms. 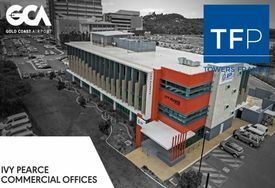 FEATURES: 1014sqm on level 2 (full floor lease) 60 secure parking spaces available. A class finishing Natural light and attractive views. 4.5 NABERS rating High speed IT infrastructure Disabled access and amenities. PRICE: Negotiable Call Towers Francis Property for more information on this quality office building. Be part of the fastest growing airport in Australia and secure your retail space today. There are multiple sizes available: 62sqm, 76sqm, 86sqm, 139sqm, 155sqm, 175sqm, 217sqm, 309sqm, 592sqm, 1091sqm. FEATURES: Incentives available. Airconditioned Abundant onsite parking. 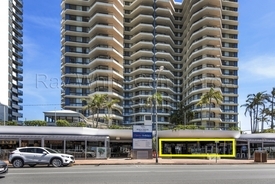 Direct access from Gold Coast Highway. Disabled access PRICE Full price list available at request. 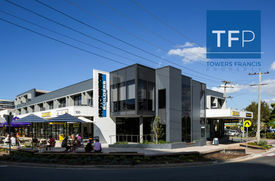 Call Towers Francis Property for more information and to arrange inspection. 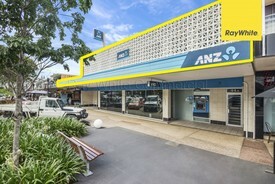 Prime Retail Frontage In The Centre Of Coolangatta LEASE $2600 PCM + GST ; F.. Located in prime central position your business will not go unseen in this location. This shop offers superb signage options and massive window facade for retail display. FEATURES 63sqm Newly renovated ready for occupation. Located under well known holiday resort 'Beach Comber' Abundant passing trade. Plenty of street parking. Good retail tenancy mix surrounding. Available with short notice. long lease available. PRICE: $2600 PCM + GST + Outgoings ($590 PCM approx). Also FOR SALE $485,000 + GST if applicable. Call Towers Francis Property for more information and to arrange an inspection.